I am frequently asked my opinion on the “best” commentary available. Often this come from a student who is graduating and a relative wants to buy them a commentary set as they head off into ministry. Sometimes I hear this from pastors who are planning on preaching through a book and want to know what commentaries are the best for their preparation. For some reason students think that getting the most expensive commentary set they can find is best, but while it certainly makes them most of the generosity of their relatives, it rarely is the wisest decision. I usually advise people not to buy a full set of commentaries as a single purchase for several reasons. First, rarely does a “full series” of commentaries have equally valuable volumes. While I think that Brown’s commentary on John in the Anchor Bible is a classic, Matthew and Mark and not particularly helpful, and Genesis is not really worth buying. Similarly, Craig Evans’ commentary on Mark in the Word series is excellent, while Ralph Smith’s volume on the minor prophets is not very good. I cannot imagine many pastors buying the full International Critical Commentary, but if they did, the volumes on Genesis and Deuteronomy are so old that they are of little value beyond their place in history. The later volumes in the ICC (Cranfield on Romans, Goldengay and Payne on Isaiah 40-55) are extremely valuable. The second reason I do not recommend buying a full set of commentaries is that it is unlikely any pastor will make good use of a full set of commentaries in their ministry. A new pastor, for example, might preach through a short book or do a series of Bible studies on a section of the Bible, but never would they use enough of a 30 volume set to make the purchase worthwhile. A third problem with full sets is that many popular sets come from a single author. It is possible that this will not bother some readers, but a steady diet of the same perspective is not very stimulating. When I graduated from college I bought a full set of Lenski’s commentary on the New Testament. There is nothing wrong with Lenski’s commentary, but the perspective is not always what I need when studying a text. The same is true for the popular MacArthur Commentary. Aside from looking intimidating on the shelf, there is not much reason to buy a full set of commentaries. There are some exceptions to this. I have often suggested to new pastors who want a “full set” to look at something like the Expositor’s Bible Commentary from Zondervan. The set is evangelical, if not conservative evangelical. The sections of the set I have used interact with the original languages, but do so in footnotes so that someone without familiarity with Greek and Hebrew (or, failing memory of Greek and Hebrew) can use the reference without difficulty. With respect, I often recommend this set to youth pastors who have limited time to prepare for Bible studies, or laymen who may be overwhelmed by Cranfield’s ICC volume on Romans. Another exception might be a full set of commentaries in the Logos library, especially if they are on sale. I bought the full New American Commentary series a few years ago when it was available at a special price. If the deal is good, perhaps a full set is a good buy. Usually this doesn’t happen very often, though. Over the next few weeks I plan to work my way through the New Testament and give some recommendations for the “top five commentaries” on individual books. This will allow me to offer my opinion on a number of excellent commentaries, but also allow readers to offer their suggestions for additions to my brief list. Brilliant. Now I can stop emailing you whenever I start a new book study. You have discovered my cunning plan. Indeed today not all ministers/pastors are readers, or academics. I think this is a negative and loss myself. For the pastor or shepherd is always a teacher, and should himself be at least something of the student. But then, I am myself always just cut in the perpetual student desire. So that’s how I see it. Some of the past greats, that I have seen, were in this genre. But, certainly always the pastor-teacher is a man of that One Book, the Bible! Here again, I would also call some of the greats “biblicists”. And here I think of men like the Wesley brothers. I have always recommended that the pastor read, at least the one volume Commentary of Matthew Henry, sometimes. I say this for the great devotional and spiritual reality of Matthew Henry, the pastor is just that, always a shepherd! Of course I love the 6 Vol. set myself. On a secondary note, in the British publishers the Paternoster Press, has some very fine theological studies, called Paternoster Biblical And Theological Monographs. I would recommend a few: Sufficient Saving Grace, John Wesley’s Evangelical Arminianism, by Herbert Goyd McGonigle. And too, Attributes and Atonement, The Holy Love of God in the Theology of P.T. Forsyth, by Leslie McCurdy. This latter is a full work on Forsyth’s doctrine of the Cross of Christ. Finally, I am actually enjoying the Ignatius Catholic Study Bible New Testament, (Second Edition, RSV). The Second Ed, is basically the work of Scott Hahn. Though I am certainly Reformed, and would reject the doctrines of the papacy theologically, I would see R. Catholicism closer to Evangelicalism on many issues in this our postmodern church and culture. 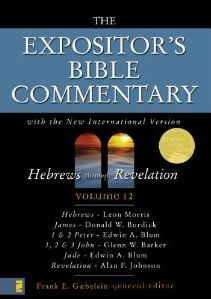 I likewise recommend Expositor’s Bible Commentary from Zondervan. In addition I recomment Keil and Delitzsch set on the Old Testament, dated but a classic and I have found very useful. The only other one I recommended is the 2 volume The Bible Knowledge Commentary edited by Walvoord and Zuck. Otherwise, I do not recommend sets. Keil and Delitzsch is a classic, I agree. Assuming I continue the series through the OT, that will be an early entry. I have mixed feelings about the Bible Knowledge Commentary, mostly because of brevity. It is very difficult to do justice to a book in such a brief format. While I have no problem with it, the fact that the writers are all from Dallas Theological Seminary might turn more than a few people off. Perhaps a good place for your students to start would be to get the NLT Study Bible where there are suggestions for further reading at the introductionto each book. For instance for John, it suggests Morris, Bloomberg, Burge, Comfort, Osborne and Whitacre. Perhaps you are aware of all of these authors but if not you might want to look at them before a recommendation. I like this Study Bible but not being an academic my self, I always go to you for advise. The beauty of a commentary, like everything else, lies in the eyes of the beholder. While I appreciate your reviews, if you can’t find value in E.A. Speiser’s Genesis (it is being replaced by Yale), I am only saddened, but fully understand. I would prefer to extol it’s virtues and place within biblical scholarship of the 20th Century and leave it to the reader to decide its value for themselves. 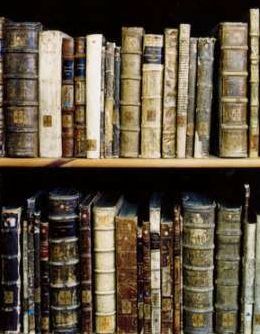 It’s information has certainly been absorbed into many other books and commentaries. I for one, am very have to have it as a reference on my shelf for what it offers. Thanks again for all your reviews. Thanks for the comment. If I had it to do over again, I might re-considered my statement. Speiser is worth buying as a historic contribution to biblical studies. Not cutting edge anymore, but not valueless. It has been nearly three years since I wrote that, so perhaps I have mellowed. Speiser remains on my shelf as well, along with maybe a dozen Genesis commentaries. My point remains, Speiser’s commentary is older less useful to a student or busy pastor who is looking for three or for “go to” references. Speiser sits alongside Driver and Keil and Delitzsch on my shelf and I do consult all three when I am working in Genesis. But I cannot say any are in my top five commentaries on Genesis. One factor here is Speiser was the first (or nearly the first) in the AB series. I would highly recommend most of the series, but it is simply not fair to compare Speiser to Freedman and Anderson’s Amos or the new volumes on Leviticus and Numbers, Fitzmyer on Acts or Koester on Hebrews. Things have changed in the way the AB series is approaching the writing of commentaries. If someone wanted to buy a few commentaries on Genesis to “get them started,” I do not think I would recommend Speiser, unless it was inexpensive. I see it regularly for about $10, which is a fair price and worth purchasing. But not at the retail price of $60! I hate to put this in terms of dollars, but I deal with college students who do not usually have much money to invest in books. I hear you, and can’t argue. I suppose I was being overly defensive of the old guard (and I wouldn’t be paying $60 for it either). It’s contents are specific and perhaps less appropriate to your reader’s needs. As mentioned, Yale is replacing Speiser’s volume with a two volume set sometime in the next 100 years. Hopefully Koester’s Revelation will make your honourable mention list in the future. Thanks for all of your reviews. When I originally wrote the series, I limited myself to only five per book. This was a completely artificial limit, but I had hoped readers would then chip in their favorites.That did happen when they were first published nearly three years ago, and I am amazed at how many people still read through the series and offer additional comments. I also find it remarkable that in only three years there have been many high quality commentaries published which could easily be included (Koester’s Revelation, for example, and more obvious is Keener’s massive Acts commentary). Perhaps I need to do a series of updates to these posts his summer. Thanks for your kind comments and defending the Old Guard. Crazy question, Phillip: Who are your top 5 authors who combine the highest standards of scholarship, but write from a position of faith. I generally read AB and Hermeneia for the scholarship, but their authors are from diverse backgrounds. I appreciate the devout standings of say, Greenberg and Milgrom, but I also appreciate the neutral, or strictly academic positions of Propp and my old prof, Baruch Halpern. Lately I’m interested in more faith based commentaries which led me to your site. I’m embarking on reading Dunn’s Making of Christianity series now that volume 3 has been slated for publication in late 2015. Gundry’s Mark intrigues me. What other names might possible interest an atheist who believes in God? My thanks in advance. Good idea for a blog post, “Commentaries for Atheists.” For the most part, every one of the commentaries below would be excellent scholarship from religious/Christian people, but there is not a great deal of overt apologetics. Anything Dunn writes is worth reading, the first two volumes in that series are foundational (and I use them all the time). You might take a look at Wright’s similar series (New Testament and the People of God, Jesus and the Victory of God, Resurrection of the Son of God and Paul and the Faithfulness of God). All four are worth reading. Since Wright was Bishop of Durham he would be an example of scholarship and faith working in harmony. AB and Hermenia are both top-scholarship series, as is the International Critical Commentary (T&T Clark). One example, I. Howard Marshall did the Pastoral Epistles; he is certainly writing from a “position of faith” but the commentary is one of the best written on the Pastorals. Perhaps the best is the New International Greek Text Commentaries from Eerdmans. They are all excellent commentaries and (as far as I know) written by scholars who have some kind of faith commitment I. H. Marshal on Luke was the first, but the more recent are absolutely excellent commentaries on the Greek text. Beale’s massive commentary on Revelation is excellent, he was at Wheaton and is now and Westminster Theological Seminary. I think the more recent NICNT and NICOT commentaries are examples of top scholarship from people who are clearly in a Christian tradition, including some who could be described as evangelicals (in the non-fundamentalist way). Doug Moo on Romans, Joel Green on Luke, R.T. France on Matthew are all excellent. Many of the recent Word Biblical Commentaries are examples of excellent scholarship from people of faith, Craig Evans on the second half of Mark is one of the best i have used; James Dunn on Romans is excellent, Ralph Martin on 2 Corinthians is good as well. I would suggest Craig Keener on Acts, three of the four volumes are in print (and are about 3000 pages so far!) Certainly excellent scholarship, Keener teaches as at Asbury Theological Seminary. He has an M.Div from Assemblies of God Theological Seminary, and a PhD from Duke. Sometime I would like to hear more about “an atheist who believes in God?” Either there was a “not” missing in the sentence, or I am not sure what this means. Thanks for the lengthy reply, Phillip. Allow me to “tesitify”. Describing myself as an atheist who believes in God seems simplest these days. The faith I felt as a younger person succumbed to the realities of the world. I was originally planning to be ordained in the Anglican church, but saw the light on that potential disaster. Modern Biblical scholarship made it possible for me to continue reading the bible over the years, as an academic pursuit. I have gained a great deal from that. I grew up in a Jewish neighborhood and, by coincidence, attended a Jewish camp for sixteen summers. I approached the NT from that perspective, something that didn’t gel with congregations at the time. I certainly lean a bit more to the Tanakh than I do the NT, but have renewed my interest lately in the Gospels through my study of Second Temple Judaism. I do feel the rumblings of faith, but speaking truthfully, do not see that reflected in the world. I’m not an atheist in the sense that Hitchens or Dawkins was and is an atheist. Their attacks have to do with something else altogether. I’m content for the universe to exist on it’s own and by it’s own, but I choose to live as if there is a God, because the alternative faiths in politics and economics, not to mention the orthodoxy of science, are not real alternatives. Little surprises me any more. Much saddens me. I would rather turn to a God who is not real (for arguments sake), than a political or economic theory that is even less real, and far, far, more transient and potentially destructive. Forgive my general statements, each of which I could enlarge upon at length. I am, however, somewhat comforted and gratified by this opportunity to converse with you and learn from your extended academic (and faith) experience. Thanks for your thoughts on commentaries. I see R.T. French was a fellow Anglican so he’s a good place to start. Bruner interests me. I also picked up Daniel Block’s Ezekiel, which Jacob Milgrom held in high esteem. I had a look at Keener’s Acts today, and it’s a mightily impressive tome. I’ll hold off on it until I work through Dunn’s Remembering Jesus. I’ve also been searching youtube for whatever lectures are available as a way of introducing myself to the many scholars you’ve reviewed. I’m sadly dismayed to find out how many great scholars have passed away in the last 15 years. they will be missed. How about a top 5 books about Jesus, biblical, historical, or otherwise? I’m finding great benefit from Dunn’s Remembering Jesus. Then there’s Wright and Meier, I suppose. What else might you suggest? are you familiar with Ken Baily’s Jesus through Middle Eastern Eyes? your thoughts are obviously appreciated by many. I have thought about that for this summer, actually! Thanks for the encouragement, I will probably do that in late May or June. I am heading to Israel for two weeks at the end of the month and I usually try to blog about the trip each day. After that would be a good time for another “top five” series. Have a safe and productive journey, Phillip. I’ll be checking for your blog posts. I’m very happy to have found your site. I’ve been out of the NT loop and you’ve really helped in bringing me back up to speed. I’m actually feeling the love where I haven’t in a very long time. How about that? On Craig Keener’s website: If you scroll down to the October 15 video entry: Who is the “We” in Acts, you’ll find a link to 23 lectures Keener presents on Acts. There are 3 formats for playing. mp3, Flash video, and mp4 Video. (There are other lecture series as well). for anyone interested.